Research conducted by the Australian Bureau of Statistics discovered that more than 60 percent of small businesses will fail within the first three years of starting up. It’s an overwhelming exercise starting a new business, there are so many reasons why a new business could fail. One reason a business can fail is due to poor marketing you must understand how important it is to get your marketing and branding strategy organised before you start trading. Unfortunately with the internet most new business owners will attempt to market themselves. They might use a simple drag and drop website builder, create a small social media network and maybe get some flyers printed out. Which is all good but most drag and drop website builders will limit what you can do. Particularly if you do not have knowledge of back end coding. The site is also going to lack some very important SEO essentials. DLM Marketing has put together several articles that can help you if you wish to do your own marketing. Seeking help from a professional marketing company will save you time and your business will benefit. By hiring a professional marketing company you will get to concentrate on the product or service you are offering while the marketing company is building your brand. You get access to a range of professionals. A professional marketing company is not made up of one person they normally comprise of digital designers, copywriters, web developers etc. Professional marketing companies already have the latest software used to produce essential marketing material. The cost of purchasing and learning software packages would exceed the costs of hiring a professional marketing company. Outsourcing to a professional marketing company means you will receive an outside perspective. One of the scariest things a business can say is, “We’ve always done it that way.” That phrase leads to surefire stagnation if not complete decay. The question, isn’t if you can afford an experienced marketing company, but rather how much are you costing yourself in time, money and lost opportunity by trying to do your own marketing. The media is a key foundation in any political system. While it does not have the formal status of other institutions, such as the constitution federalism and the parliament, it nevertheless, like political parties, plays an integral part in the practice of politics. This is because it is the major source of political information for most people. Few of us participate directly in political activities. We are not members of political parties, we do not go to public meetings, and we rarely, if ever, communicate with our political representatives. Most of us learn about politics, about the performance of politicians, the actions of government departments and agencies, and the activities of interest groups, from television, radio, newspapers and from the internet. This communication is not a one-way process because politicians also learn about the communities’ concerns and aspirations through the mass media. 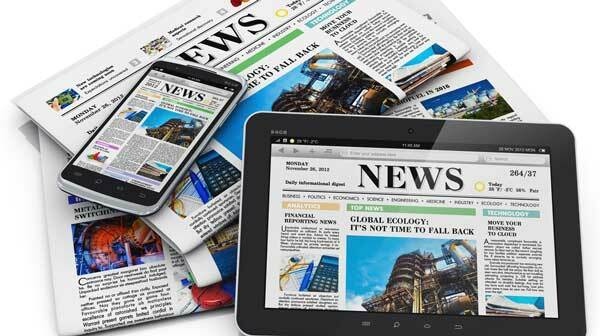 Beyond acting as a communications link between governments and politicians and the people they serve, it is also important to remember that the media is a political player in its own right, helping to set the political agenda. What, then, determines the media’s role in politics? Media is, in the first instance, big business. The major media corporations number amongst the biggest organisations in the world. They are businesses which depend largely on advertising to generate revenue and their ability to attract advertisers depends on the size of their audiences or readers. Bigger audiences translates into higher advertising rates, and this, in turn depends on providing material which appeal to the audiences that advertisers most want to reach. But the media is “not just another business”. Historically, it has embraced the role of “watchdog”, charged with the responsibility of monitoring politicians, scrutinising government activities, and identifying failings on behalf on the public. To fulfill this role, it has often demanded, and received, privileged access to the political players and laws to protect free speech. For many therefore, a free press, is a hallmark of democracy. Many years ago before the internet was such an important part in our everyday lives. Business owners had a very different approach to marketing and promoting their brand. The costs involved in promoting any brand to a large audience was very expensive and time consuming. Just think what would have been involved in producing a simple T.V. commercial or mailing out thousands of flyers. Yes traditional marketing is still a very important element in any companies marketing strategy. However digital marketing has leveled the playing field. Almost anyone can create a digital marketing campaign, but the internet has also created many new problems for marketing professionals. While newer digital marketing techniques work and can grow a company’s client base, totally replacing traditional marketing with only digital marketing methods can prove risky. It goes without saying that traditional marketing methods have a high success rate and are proven. Traditional marketing can be difficult to accurately measure, for example – if you were to do a traditional mail out marketing campaign how would you know who opened and read your flyer? In comparison an email marketing campaign (Electronic Direct Marketing campaign). You can see who opened your email, how many times it was opened, what links were clicked etc. Yes internet marketing has made it easier and cheaper for companies to execute their marketing campaigns. But it has also flooded the population with millions of marketing messages resulting in people becoming less responsive to marketing communications. So now days the challenge is to try and standout from the noise, to achieve that a professional digital marketing company is well worth investigating. Professional digital marketing services has become an important investment for brand development. The brand that stays in front of the digital marketing curve is the brand that succeeds. Gone are the days when marketing was totally dedicated to traditional marketing methods. Over the last ten or more years, the rise of digital marketing channels, the growth of social media, and growing ease of access to the internet has combined to make digital marketing unavoidable for brands. DLM Marketing has put together the following seven digital marketing tactics which are essential ingredients for every digital marketing mix. By using paid ads you will give your brand that added visibility that’s necessary in today’s digital marketplace. Keep in mind that your online advertising budget does not need be large for the benefits to be directly noticed. With several social media sites boasting huge worldwide coverage and millions of daily active users, it makes sense to advertise on these platforms with targeted digital marketing campaigns. Most of these platforms offer advertising, letting digital marketers reach a substantial database of targeted consumers. Social media sites have developed as strong competitors in terms of digital advertising spends for many companies. The online advertising and digital marketing mix is divided between Facebook ads, Twitter ads, and advertisements on YouTube, Pinterest, Instagram and other social networks. Don’t use email marketing to push promotional messages to thousands. 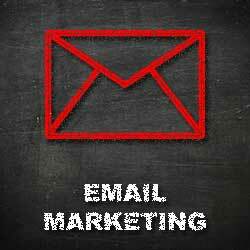 Use email marketing carefully to attract people with exclusive offers and entitlements. Make recipients feel special, not agitated. Specialised software, such as Mail Chimp, can help you compose effective email marketing campaigns. Whether you want to create email lists, personalise messages for your audience, or even track conversions from every link in the email, these easy-to-use digital marketing tools make the job simple. From the smallest business to the biggest corporation, modern-day email marketing platforms give you a complete solution for your communications needs. Any brand that has not integrated social into their digital marketing strategy is simply missing the boat. Today’s consumers are more likely to be found on social media platforms than they are say watching TV ads, scanning the yellow pages, or reading the classifieds. On mainstream social platforms like Facebook, Twitter and Instagram, you have a captive audience. The craving to network with other people and share views, opinions and overall experiences is a universal human quality. That’s why communities have traditionally formed, and have since moved online from the offline world. With the increase of online communities of interest, many companies inspire their most dedicated fans to help them promote their products and services through online channels, to achieve more visibility. That’s when community management tools can help marketers to reach out and communicate with these individuals, perhaps incentivising the engagement with contests and prizes. Ever since the growth of Web 2.0, interactivity has become a foundation of life on the Internet. Today’s online forums are a digital equal of the town squares of the past, where residents would once gather to talk and debate. Leverage those online spaces to insert your brand into the public conversation. Don’t shy away from difficult conversations that are relevant to your brand. Join in on the conversation and position your brand as a thought-leader and influencer in the space. There’s an ever-present danger in the age of strategic Hootsuite scheduling and automated responses that customer communication loses its spontaneity and, quite frankly, its humanity. Don’t just leave it to your digital systems to handle customer relations. Follow up personally on the engagement that starts online. Did you know that one out of three leads are never even called? We live in a busy time filled with distractions and obligations. Leads don’t always convert without a little encouragement. Follow up with customers to remind them about your brand and make them feel personally welcome within your brand community. With a CRM like Salesforce, you can track every interaction you have with a customer. When they make a purchase or become a lead, follow up with them immediately – don’t hesitate. Let the customer know that you appreciate their business. Talking about yourself, on your own platform is fine. But self-promotion can only get you so far in the digital world. If you want to command full authority and respect from your target online community, you need endorsements from others in the online space. One easy way to achieve those endorsements and word-of-mouth promotion is to secure guest posts on other brands’ online real estate. Become an authoritative voice in your field by demonstrating that your peers acknowledge and respect your insights and ideas. More than ever, digital marketing works hand in hand with traditional marketing tactics to deliver beneficial brand outcomes. The tactics outlined above are merely a starting point from which you can flesh out a more comprehensive and customised digital marketing strategy for your brand. In the course of many website audits we discover problems with websites that happen time after time, so we believe it would be useful to give some examples of classic problems. Despite the fact every website is individual and the mix of issues differs from site to site what follows are some of the more typical problems and issues we discover during numerous website audits. A website owner ought to consider the top part of each web page as prime real-estate. The portion of the web page that appears before a person needs to scroll down the page. One typical problem we find is how the top of a web page is wasted. Typically the main issue is the header graphic at the top of the page inhabiting too much of the page and another issue is regularly the images used don’t add anything to give the visitor a suitable impression of what the site is about, or what’s on offer. Images should be used that deliver the right message to the person landing on your website. Using glamorous graphics and abstract pictures is fine if you want to show off the talents of your web designer. Using pictures and graphics that has not been optimized by your website designer to use on a website is also a typical issue with most websites we audit. What this means is, the file sizes of the imagery on the website are much larger and increases the page load time. 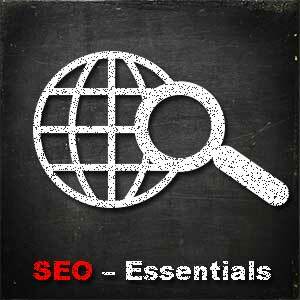 Hyperlinks within the page content should also be easily acknowledged as links. What we often find is that site-wide navigation or embedded links within the page content are often camouflaged and appear to the visitor as normal text until the visitor hovers their mouse over the words. While proficient web users know where to expect to find site-wide navigation, which can therefore be accepted as being “disguised” the same is not true of links within page text content. Many websites we audit fail to make appropriate use of page titles and descriptions. The page title and meta description used in the top HTML header of every page is essential to Google and other major search engines like Bing and Yahoo. Google in particular makes regular use of the page title and meta description of each webpage in their search listings. It is therefore extremely important to note the right formatting of page titles and listings for Google, which displays no more than 65 characters in the title and 156 characters in the meta description. Since these are character display restrictions in search results, it’s also imperative to make good use of this in what you say about each web page. This will be read by people who will decide whether to visit your page or not based on your listing title and description. Another typical issue we find with page titles and descriptions is that the same ones are used on multiple pages. This is particularly true on ecommerce and shopping cart sites. The search engines, Google in particular, do not like duplicate page titles and descriptions. Almost all websites have key web pages that are particularly important to the success of the site, for example sales or product pages and sign-up pages. A website should funnel as many persons to those key pages as possible. What we frequently find in website audits is the most important pages to the site owner are not the ones that have the most incoming links. With fewer links to key pages the person has less chance of finding these key pages. Where a site owner has identified key landing pages on their site for a website audit a typical issue we find is that very little seems to have been done to optimize these key landing pages. Many site owners seem to concentrate on getting visitor traffic to their website and then don’t use it effectively when it arrives. Having key pages un-optimized means low or less than optimal conversion rates. Many years ago marketing was reasonably straight forward and simple. You would decide on your company’s objectives and create a marketing plan designed to achieve your goals. Once the marketing plan was finalised that would be the company’s main focus of direction for the next few years. Now day’s managers need to be more diverse when it comes to planning marketing strategies. 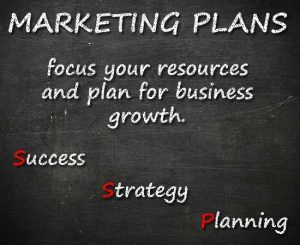 Yes managers and business owners still need to set clear objectives for their business but a marketing plan needs to be flexible so it can be adapted as new marketing practices are discovered. It is common for businesses to have more than one marketing plan to help cope with multiple marketing channels. For example you could have a traditional marketing plan, digital marketing plan and a social media marketing plan. When DLM Marketing provide marketing strategies for clients we normally integrate all forms of marketing into the single marketing plan. The key to good marketing is well put together and achievable business objectives. When you are deciding on what you want to achieve its best to set your target within range. DLM Marketing has come up with these five points you should use as a guide when considering you goals and objectives. Keep each goal clear and simple. 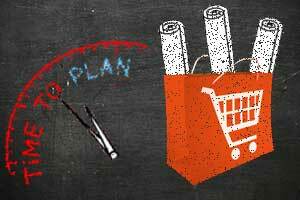 Download your free DIY marketing plan template and guide now! Don’t be afraid to push yourself and think big. Make sure that your goals are in sync with your mission. Gather all the information you need. Effective marketing strategies depends on a complete and accurate understanding of your market, your customers, your financial situation, and your business environment. If you don’t have a current plan it is something you should consider. 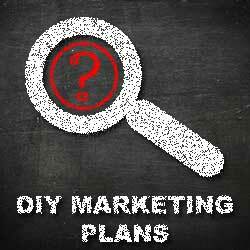 You can download a DIY marketing plan template for free from us or we can provide you with a price to do it for you. According to the Australian Bureau of Statistics, more than 60 percent of small businesses fail within the first three years of starting up. It is a daunting exercise going into business, there are many reasons why a business might fail. One reason a lot of start-up businesses is poor marketing. It is important to get your marketing and branding strategy organised before you start trading. With the internet most new business owners will attempt to market themselves. They might use a simple drag and drop website builder, create a small social media network and maybe get some flyers printed out. Which is all good but most drag and drop website builders will limit what you can do. Particularly if you do not have knowledge of back end coding. The site is also going to lack some very important SEO essentials. 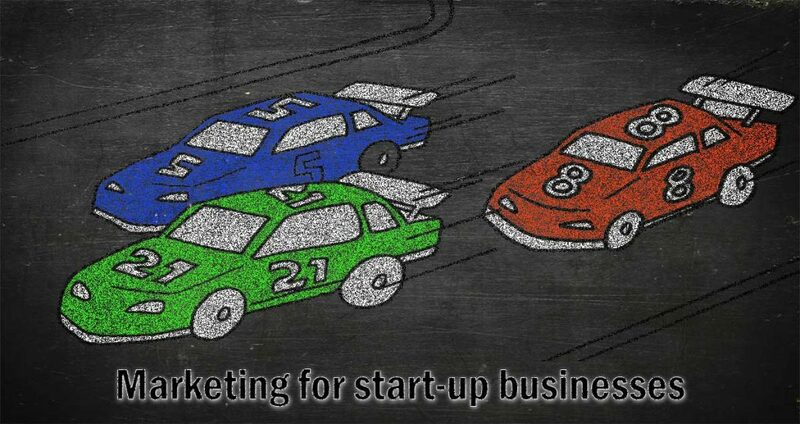 We have put together several articles that can help you if you wish to do your own marketing. Be wary of SEO firms and web consultants or agencies that send you emails out of the blue. Reserve the same scepticism for unsolicited email about search engines as you do for “burn fat at night” diet pills or requests to help transfer funds from deposed dictators. 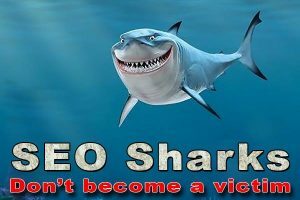 Beware of Rogue SEO experts that claim to guarantee rankings, claim a “special relationship” with Google, or advertise a “priority submit” to Google. There is no priority submit for Google. In fact, the only way to submit a site to Google directly is through the Add URL page or by submitting a Sitemap and you can do this yourself at no cost whatsoever. Ask for explanations if something is unclear. A rogue SEO expert creates deceptive or misleading content on your behalf, such as doorway pages or “throwaway” domains, your site could be removed entirely from Google’s index. Ultimately, you are responsible for the actions of any companies you hire, so it’s best to be sure you know exactly how they intend to “help” you. 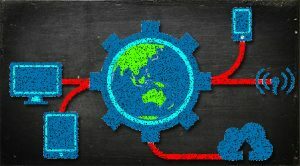 If an SEO has FTP access to your server, they should be willing to explain all the changes they are making to your site. There are many unregulated industries and marketing is one of them. Basically anyone can pay to have a website built or use a drag and drop CMS and have their own marketing or SEO Company up and running. When I talk about regulated industries I’m referring to industries that require you to be licenced or have formal qualifications to perform certain services. An example of a regulated industry is medical services, you would hate to be taking medical advice from someone pretending to be a qualified GP. DLM Marketing is a professional marketing company both myself and my business partner have formal qualifications. We share the same qualifications which include Bachelor degrees in business, ecommerce, marketing and a Master degree in digital design. Not only have we done the hard yards and gained the appropriate qualifications we have been working in the marketing industry for many years. So we are not cowboys and yes DLM Marketing does provide a true professional marketing service. People that decide to go into business without obtaining the necessary skills hurt the reputation of the entire industry. We have been told some real horror stories from multiple clients about dealings with rogue marketing companies in particular SEO companies. Unfortunately it creates a trust barrier which is not good for our industry. 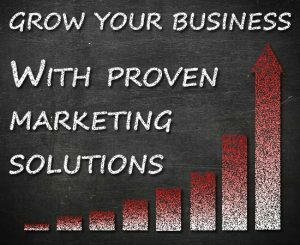 Basically DLM Marketing is a professional marketing company which is why we are able to provide clients with exactly what they need to make their business grow. Stay away from marketing companies that only offer standard packages. Each business is different and so are their marketing requirements. Your potential customers are always searching for local businesses. Google recognizes this and gives a higher ranking to businesses that can show to Google they are both related and local. There are a number of local SEO (Search engine optimisation) strategies to drive more visitors to your website. They are all important, but one of the biggest local search boosts comes from local business directory listings. Australian business directories are not just for motivating search traffic, they can also deliver referral traffic to your website. How do I find the best Australia Business Directories? Stay away from directory lists or submission services offering 50, 100 or even 250 Australian business directory websites. The best they will do is waste your time and damage your Google ranking. Alexa is a website that ranks the top visited websites worldwide. They also provide an estimate of a websites ;popularity in a specific country (using a combination of average daily visitors and pageviews). After filtering the list of business directories according to Australian Alexa Ranking, and removing any not in the top 25,000 Australian websites, we have our list! Having this data on hand to copy information will make the process much faster.